At FindHomeAbroad, we work closely with a wide range of selected French developers all over the French Alps (see ski properties for sale per ski resort), mainly in Haute-Savoie, Savoie and Isère. We make sure our clients are in the hands of the best professionals when looking for the right new-build French property including ski-in-ski-out properties ideal for the ski families. We assist our clients throughout the process of buying the property, starting from the initial enquiry until completion (and very often beyond). We also publish construction photos of our more popular new-build ski property developments and information of our ski property launches and the reservation process. We have access to all the new-build developments in the French Alps situated in your favourite ski areas in the French Alps. Following a strict selection process, we usually list a maximum of 100 new-build projects on www.findhomeabroad.com and tend to concentrate on average on a handful of new property developments. There is no charge for our services, and we list all our properties at developer’s price yet we offer the advantage of impartial advice and can recommend other developments for you to compare including investment ski properties with guaranteed rental income. Your new French home comes with a ten-year warranty, meaning that the cost of fixing any damage caused by faults in specified parts of the property, usually the structural and weatherproofing elements, is covered. • 2-year fixtures and fittings guarantee. During the first two years, you have complete peace of mind in your new home. If something goes wrong within your property and is covered by the two-year fixtures and fittings warranty, we will make sure it is put right. We will find solutions that suit you and hold your hand through the whole reservation process up to delivery and beyond. We will make sure we alleviate any worries you might have. as soon as we start the reservation process we introduce you to an English-speaking notaire who will answer all your questions and reassure you before you have to sign any document. 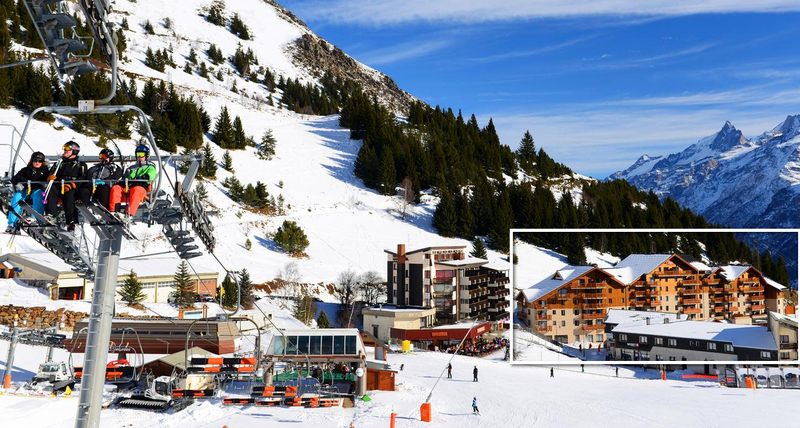 At FindHomeAbroad we have been helping our clients finance their new-build ski properties for many years now and believe French mortgages and their low-interest rates can be an excellent solution to counter the currency fluctuations. Our French mortgage expert Jonathan will be happy to advise you on classic ownership, leaseback or buy-to-let mortgages or equity release. Also, he will explain the general application processes and documentation requirements for non-French residents who wish to acquire finance for their French ski property. Our French property services cover all paperwork-related queries and assistance with the associated documentation. We advise you on all the administration regarding French ski property purchase, from drafting contracts to final signature of the deed of sale and exchange. We also provide a service in London with a power of attorney should you not wish to travel to sign the deed. At FindHomeAbroad, since 2005, we work closely with a wide range of selected French developers all over the French Alps, mainly in Haute-Savoie, Savoie and Isère. We assist our clients throughout the process of buying the ski property, starting from the initial enquiry until completion (and very often beyond).